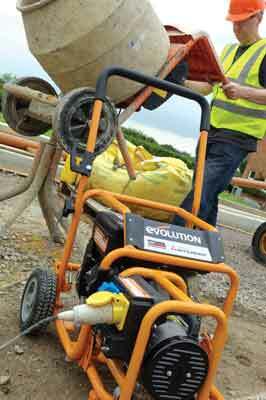 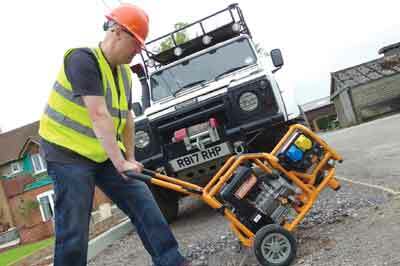 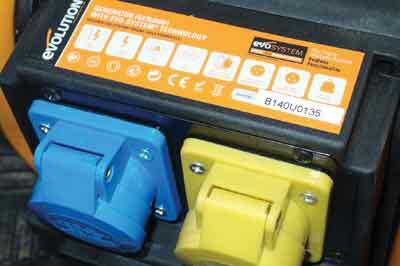 The EVO System currently consists of a frame mounted, mobile four-stroke petrol engine that can be teamed with one of three different mountable accessory units: a generator, pressure washer and a suction pump. 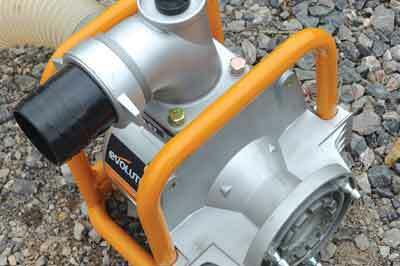 The engine unit is the core of what could be a much bigger system if Evolution decide to expand the range. 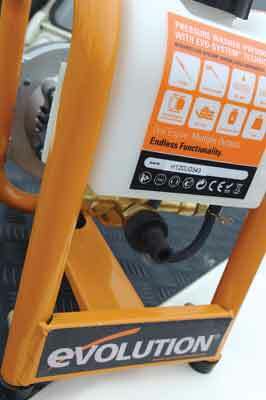 The four-stroke is a Mitsubishi engine, which has a special coupling plate connected to it which all the accessories attach to. 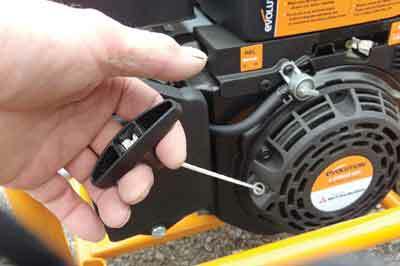 A flip-down frame is hinged to the main frame mounting so each unit can sit firmly in place on it. 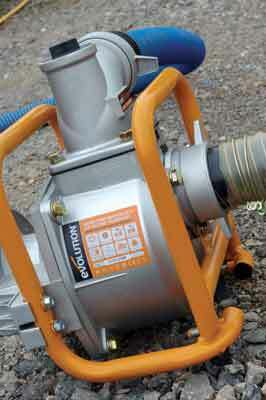 The whole thing has a pull-along handgrip and a sprung foot-actuated lock for the wheels. 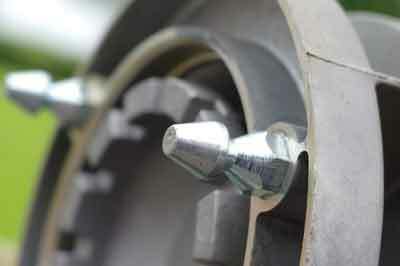 There are three rubber-bushed feet underneath to support the accessory frame. 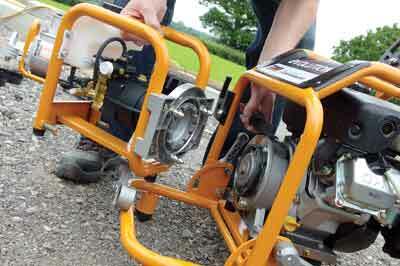 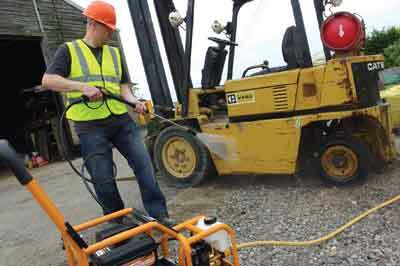 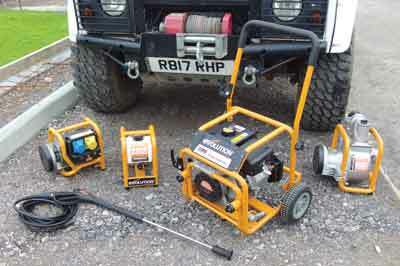 This system is aimed at tradesmen and comes with sufficient power to do real work. 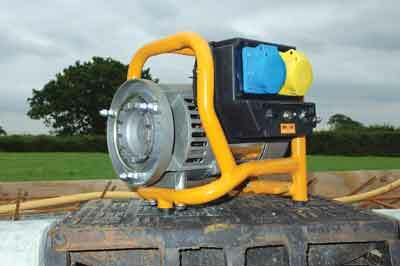 Whether you want to pressure wash a muddy tractor, pump a pond dry or power a big angle grinder, then this unit is equipped to cope.